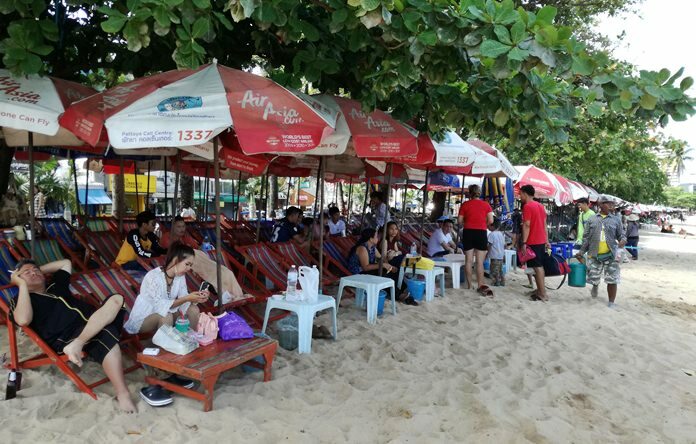 Pattaya has confirmed new rules for beach chair vendors that will see them kicked off the sand two days a week and confined to smaller spaces the rest of the time. Pattaya City Council Chairman Anan Ankanawisan and other board members informed the unhappy umbrella dealers of the final rules promulgated on military orders June 1. 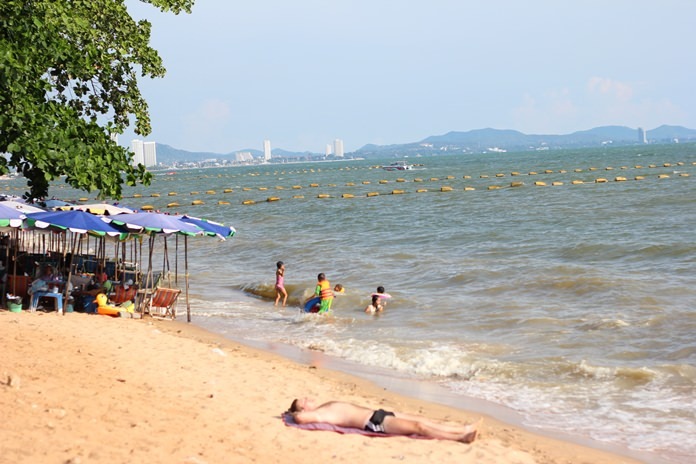 Vendors now will be limited one 63-sq.-meter block of sand – instead of renting multiple 49-sq.-meter parcels – on both Pattaya and Jomtien beaches. Whether those vendors will be subject to annual lottery draws to keep their spaces – as proposed earlier – was not announced. To keep the beach tidy, vendors will be barred from putting out chairs until requested by a customer. They also will have to remove all their chairs, umbrellas and other property from the beach Tuesday night and bring it back Friday morning. Currently, chairs are banned on Wednesdays, but vendors can stack their belongings near the footpath. The new rules – part of the military’s push to eliminate private use of public property and restore beaches to a more-natural state – were condemned by the chair dealers. They claimed they will lose business if empty chairs are not set out waiting for tourists and that being forced to take two days off, instead of one, will further erode their incomes. They also complained about the hassle of removing all their property from the beaches while not in use. The rules have not yet gone into effect and another meeting will be held at some point to consider appeals and changes.